Here we are again. It’s time for another Stamp-of-the-Month blog hop. And what a wonderful stamp set it is! If you came from Carol’s blog, you’re on the right track. If my blog is your starting point, just keep clicking until you get back here. I’m sure you’re going to get to see some stunning artwork! There’s even a little dot to fill in that cute little flower! 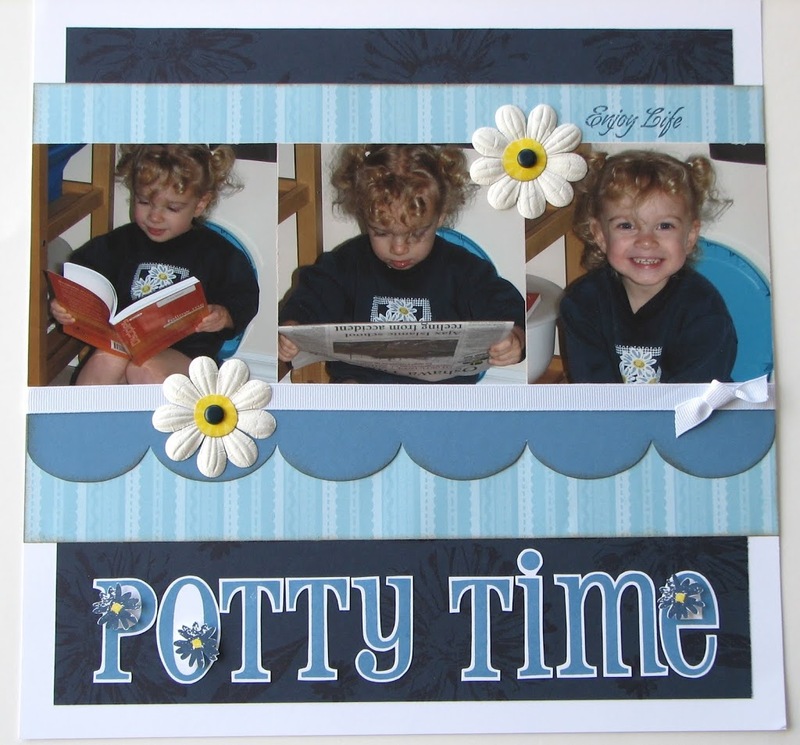 I chose to do a layout and as I was going through my printed photos in an effort to catch up on some scrapbooking, I came across these photos of my daughter sitting on her potty. The flowers on her sweater are a very close match to the ones in the stamp set. Perfect! I chose to follow a pattern, called Back Stage, from Jeanette Lynton’s new book, Magic. No, it’s not available to customers yet, unfortunately you’ll have to wait until September. This last photo shows what makes this page interactive, which is what Jeanette’s book is all about. The top circle is attached with a brad and swings to the side to reveal the journaling. Once I get it in a Memory Protector, I’ll put that top piece on top of the protector and put the brad all the way through the protector and the page, making it truly interactive. It’ll be in my gathering album very soon, so if you want to see it in person, book a gathering with me! Want the stamp set? Call or email me today to find out how you can purchase it or even get it for free. Okay, I’m done babbling. Now it’s time for you to hop on over to Jenifer Brenner. Her card is beautiful. Oh my gosh …how CUTE. Love it. CUTE! i love your blog background also! So cute! I love all the little details. LOVE the way the little flowers look on the letters! I’ll definitely have to try this. Oh this is cute, cute, cute!! OMG, this is such a CUTE layout!!! This is a terrific layout! Love the colors! Great layout Krista!! Love it! Very cute! I love the layouts much better than cards! TFS! Too adorable! 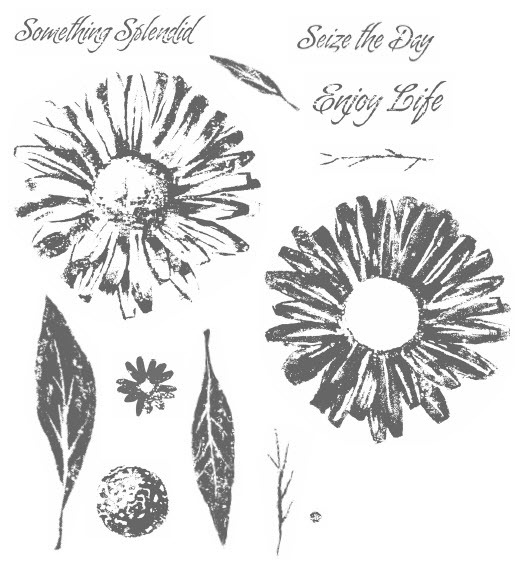 Cute photos, tone-on-tone stamping, rub-ons, paper flowers, fun hidden journaling – this layout has it all and is just perfect! THANKS so much for inspiring me!! What a cutie-patootie! Your layout is wonderful. I love all the little touches. It really makes it special. Love, love, love this layout! Okay…now I want the book you are referrinf to!!! 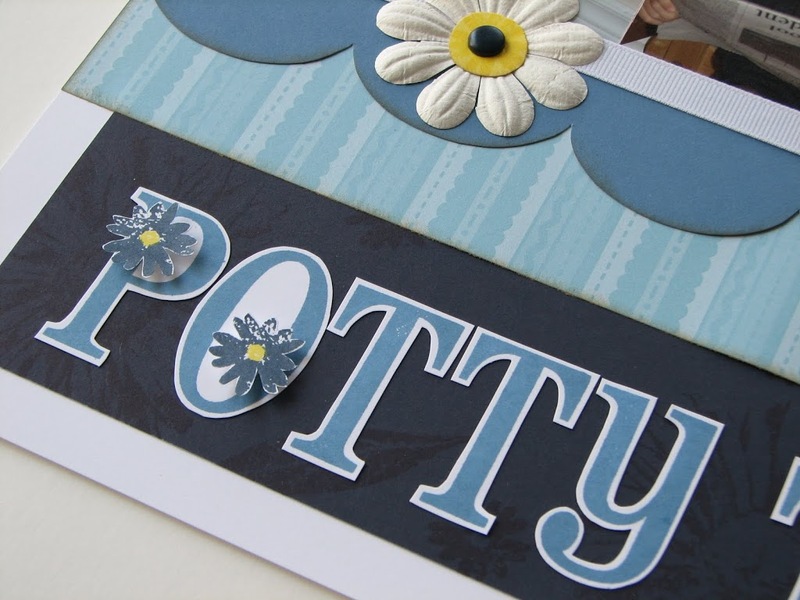 The layout is adorable ~ we all can relate to potty training! Thanks for sharing!